Hey, full of Christmas Cheer, I’m rounding up all of the Thanksgiving Weekend Holiday Perfume Sales & Perfume Discounts I can find for this weekend to make your perfume shopping a little cheaper! I’ll update this post as I get additional sales. So if you know of some I don’t have listed, let me know! This will become an ongoing feature under a tab at the top. Ormonde Jayne – call or visit their shop (call if you don’t live in London, peeps) to get 20% off on November 29 ONLY +44(0) 20 7499 1100. Surrender to Chance – Monthly codes – 5% off with code THANKSGIVING. 8% off orders over $75 with code TURKEY. Perfume.com – 16% off with code CYBERWEEK2012 – through 12/03/12. Beautyhabit – Nothing currently, but some codes to get free sample packs with your order. Fragrance.net – 15% off if you click through for the code, not sure what the code is or when it ends! Beauty Encounter – I see a 5% off with Code BTY627, valid through 12/31/12, but not sure if they will be doing something else discount-wise or perfume sales for Black Friday or the weekend. I think they have an additional 20% off of some clearance items. They do have Free Shipping on orders over $60, but think that’s always on. 10x BE points on Cyber Monday, 11/26/12 with code NOV873. Providence Perfume – 15% discount, use code THANKS4ALL, good for five days starting Thursday 11/22 (ends 11/27/12). Luckyscent – free shipping with code HOLIDAY2012 on orders over $75. Good through 12/31/12. DSH Perfumes – 20% off with code HOLIDAY2012 now through December 17, 2012. Parfum1– 20% off with code THANKS123PW – not sure when this ends. Brands NOT included Anthony Logistics for Men, Etat Libre d’Orange, Juliette Has A Gun, L’artisan Parfumeur, M. Micallef, Maria Candida Gentile, Mary Greenwell, Memoire Liquide, Mona Di Orio, Parfums De Nicolai, Penhaligon’s, Providence Perfume Co., Ramon Monegal, Slumberhouse, Undergreen. great! the DSH code though doesn’t seem to work..
Patty, thank you for posting all these together! However, I could not figure out how to use both it and the free shipping code combined. It is a nice enough sampler it might be worth it to forgo the free shipping and snag the sample. I placed an order from Parfum 1 yesterday, and they even took 20% off Parfums de Nicolai, Ramon Monegal, Maria Candida Gentile, and Undergreen. I don’t know if it was a mistake, but the order appeared to have gone through. I have never ordered from min New York. So do we have to register before the code will work? All the high end retailers (N-M, Saks and Nordstrom) have lots of GWP’s and all codes at the websites, except the Saks free rhinestone atomizer code I accidentally posted above on Tom’s post. Now Bergdorf’s—maybe someone out there can expand upon this–I got a card from Guerlain for free shipping and complimentary gift, but also thought they were starting some kind of beauty promo (gift card maybe?) this weekend. I can’t remember and I’m thinking of getting a bottle of L’heure de Nuit for dh to “give” me. Anyone know anything about a promo at B-G? P.S. 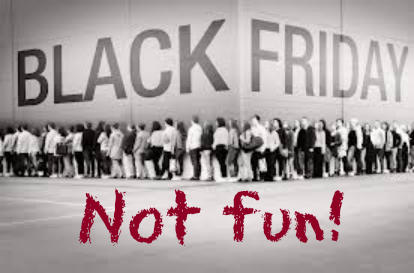 I used to love going out of Black Friday with my daughters, but it has gotten so crazy, with them starting as early as Thanksgiving Day, forcing their employees to work when they need to be with their families, I stopped. Also, parking lots were full and people were cray cray, so much so I sometimes didn’t feel safe, so it’s online day for me today! Thanks Anita, I got it to work…yay! And I ordered a Sospiro discovery set….I was unable to resist those purple bottles! It looks like they have a points reward progam too! Though my best purchase today was dh’s gift…an English mastiff puppy! I know you like the large breeds; I considered a Rottie as well, but he finally chose the Mastiff. We pick him up tomorrow..so excited! xo and hope you had a fun Black Friday, everyone! JoAnne Bassett – http://www.etsy.com/joannebassett Holiday Sale 15% off – Coupon code Gratitude through Monday, November 26. Special ends Monday, November 26. Slumberhouse is having 33% off their entire line rom their website this weekend only.